A week ago, I honestly didn’t think I was going to write a year in review blog. Yesterday, I pulled up the post I wrote for 2015 and decided it would probably be a good idea after all. Looking back gave me some much needed reflection. What are my goals for 2016? I feel somewhat scattered as there are several projects that I want to undertake, but I am unfocused and a little unmotivated at present. I work best when I write stuff down in lists, but I seldom take the time to do so unless I have an imminent deadline and prioritizing is essential. I had four main goals for 2015, and I accomplished 50-75% of them. 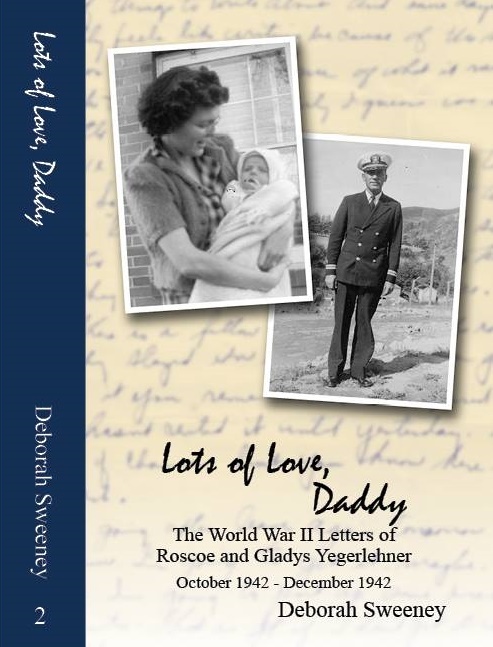 The two 100% successful goals were publishing the second volume of World War II letters, Lots of Love, Daddy, and working on my skills as a genealogy lecturer. The book was finished in late September. At over 400 pages, it is almost twice as long as the first volume Dear Mother, Love Daddy. The project was a lot of work and I am going to step away from the letters for a little while. The second goal, to improve my skills as a genealogy lecturer, is also going well. I have spoken to three northern California genealogy societies this year as well as continued to give free lecturers at my local library. For 2017, I have already accepted speaking engagements for two northern California societies, for the main branch of the Sacramento library’s genealogy department, and for SCGS’s Jamboree (a national genealogy conference in Southern California). Goal number three was to publish an article in a national or state level periodical. Technically, I published an article in the Utah Genealogical Association’s magazine Crossroads in late 2015, but I wasn’t aware of it until 2016. 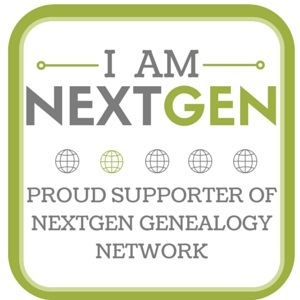 Additionally, I wrote a guest blog (online) for the NextGen genealogy network. However, neither of these truly fulfill my intention of writing for a national or state level periodical. My goal was to write a family history or lineage so I give this goal a 50/50 completion rating. Goal number four was to lay the groundwork for my BCG portfolio, anticipating that I would go on the clock sometime in 2017. I did do some work towards this. Finally seeing completed portfolio’s at the BCG table at Jamboree made some of the elements, like the KDP, finally click for me. I had to throw out the family I was going to use as I didn’t need to “prove” any of the relationships. I pretty much had direct evidence for everything. I have a new family chosen that fits the parameters of the KDP, but I haven’t had the time to focus on any research since last summer. Ultimately though, at this point, I am not ready to jump in and go on the clock so I don’t feel like I accomplished this goal. Wrote four brief family lineages which are posted on this blog under the “lineages” tab (this makes some nice cousin bait!) and I wrote some of my research down! Write a new addition of Jacob Troxell of Fayette County, fully sourced and using a reasonable exhaustive search. The new volume will be similar in scope to the silver Mayflower books. All descendants from generations 1-3 will be fully discussed, and the fourth generation will be named. Eventually I plan to write a second volume starting with the fourth generation. There is only one living person from the fourth generation (that I am aware of) and he is in his nineties. Continue to transcribe and organize my incredibly huge family archive. I feel very blessed by this collection but I am continually overwhelmed by all the information I have to process and preserve. 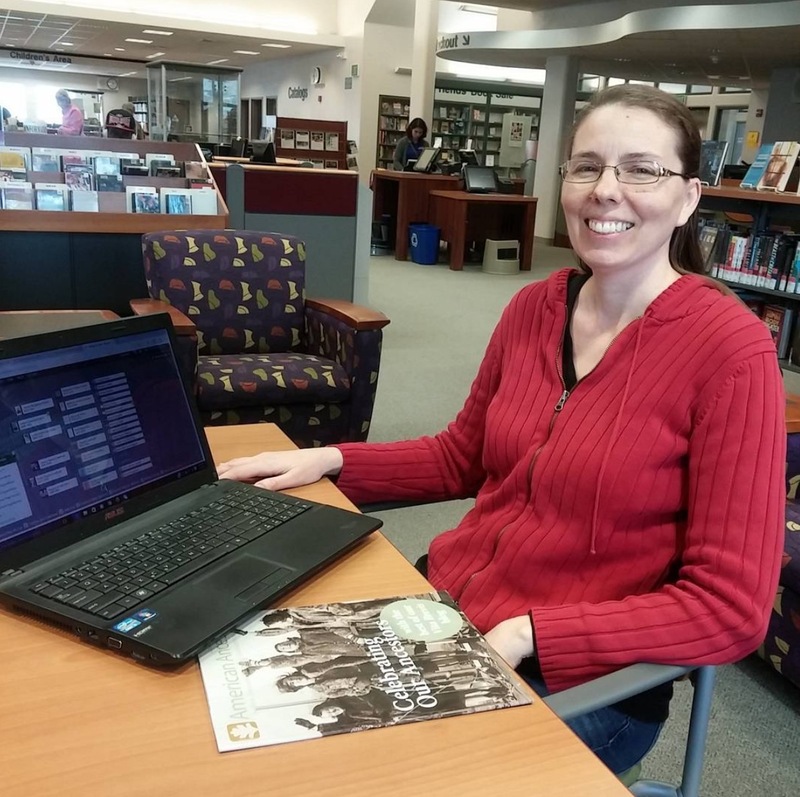 Have fun and make more amazing genealogy related discoveries! 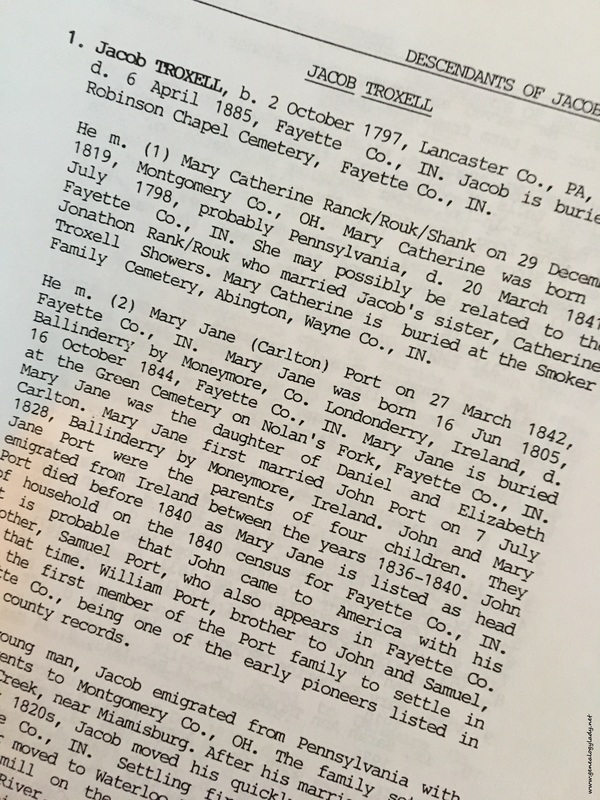 This entry was posted in Genealogy and tagged 2017, family history, genealogy, goals, Jacob Troxell, Kerschner, Mayflower Society, Photography, Sacramento Public Library, Scofield, speaking, writing, Yegerlehner on January 7, 2017 by Deborah Sweeney.